1933 - a storm just barely grazes eastern Ontario... A Band-rumped Storm Petrel is found near Ottawa. 1996 - the famous Hurricane Fran brings numerous vagrants into Ontario including storm petrels, Black-capped petrels galore, Sooty terns, American Oystercatchers etc. 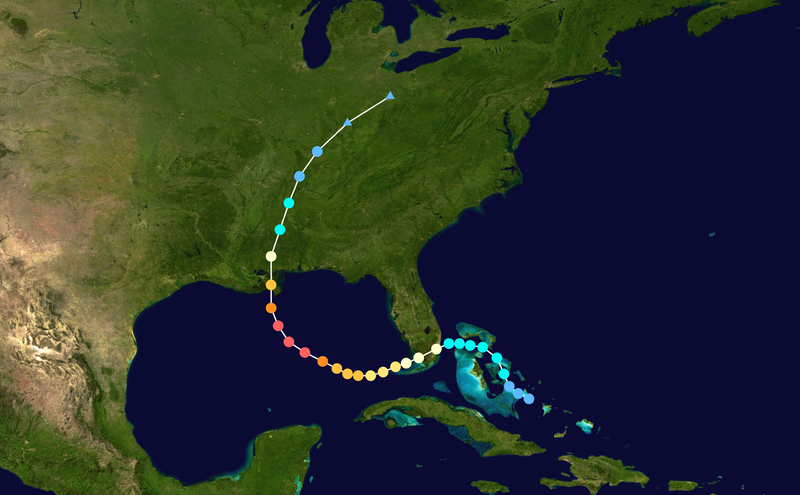 2003 - Hurricane Isabel brings a Black-capped Petrel or two, a Sooty Tern, and a few Storm Petrels into Ontario. New York fares better with more rarities observed. Annnnnndddddddd that's it!!! Hurricane Hazel in 1954 should have brought birds, but who was looking? Hurricane Hugo in 1989 also looked very good, yet there are no records.. I wonder why? For the purpose of this post however, I'll focus on the "Carolina" hurricanes, since those are the most desirable. !! History lesson complete, lets look at how Hurricane forecasters make their early season predictions... From what I've read, we are well into a "period of heightened activity" - meaning we are likely to have "above average" years for quite a while. This year, after last winters La nina has ended, looks pretty darn good for storm formation. Last years La nina seemed to push storms out over the ocean, with essentially no landfalls anywhere in the USA. We remain in a "neutral" state, which is good for storms, since the opposite (El nino) typically has conditions that are very poor for storm formation and end up being slow years. Yes, you read that right, those years listed above had the most similar global weather patterns to 2011... Out of all the years they've been keeping records, the years MOST similar to this year, includes 1955 and 1996!! (the two biggest bird-storms in Ontario birding history)... What are the odds of that?? Now please keep in mind I don't really know what the heck i'm talking about with this weather stuff, but my understanding is the weakening la nina has a habit of shifting the "bermuda high" into a sweet spot in the Atlantic, which may help curve storms up the east coast and into the general area of the Carolinas. And if that isn't enough, the global weather patterns since that prediction has been made, did not follow 2008 at all. In 2008, we developed into a strong La nina, which dumped rain on us every freakin day for most of the summer... If you remember back, it actually rained virtually EVERY day in July... Kinda different to this year eh? Yes, that 1995 should read 1955 (fixed it). Analog years aren't "the law" as far as paths for 2011. They just suggest patterns that might be observed as far as development and movement. There are so many variables involved in determining where a hurricane eventually makes landfall. A small pocket of shear that develops in the mid Atlantic east of the Caribbean may delay development of a disturbance for a day. That delay in development might mean the difference in a Florida or East U.S. Coast hit or a Bermuda hit. Timing is everything. No one is safe from a possible impact because of any pattern indicated by analog years. Keep an eye on those Hurricane Paths!!! I know I will be! And there will be more here on the blog. Oh how we need a storm... Pennsylvania has inland records after Hurricane Hazel in 1954! It's very possible under the right conditions. as a blog posting....... But I'm gonna do it anyways. To prove that I don't live in the wilderness (with internet access), I figured I'd do a blog post to show the world that I do actually have a home.. And yes sometimes it needs to be cleaned. And keep an eye on the NOAA Hurricane page. Tropical Storm Don may be making landfall in Texas right now, but there's also the possibility of the first Cape-Verde type storm forming over the next few days..... Soon I hope to update my own Hurricane-birding season forecast!!!!!!!!!!!!!! Work brought Jenn and I to a few modest shorebird locations. Ressor Pond: very little of note, other than several Greater Yellowlegs out-numbering the Lesser Yellowlegs. This is a pretty unusual ratio for southern Ontario in July. The KFN property was also pretty lifeless.. We had few shorebirds ( a semi sand and some least's).... a few Herons (including an ugly/molting adult American Bittern, followed by a stunning fresh Juv. American Bittern).. . and a fairly expected group of ducks (similar to previous visits: Being Northern Pintail, Gadwall, Red-breasted Mergies etc)... Note worthy was the same summering Tundra Swan (see below) and a pair of Redhead! 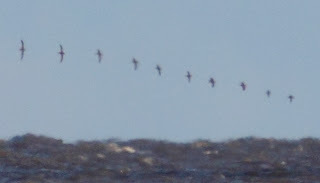 Which I'm guessing could be fall migrants? Same Tundra, photo taken a few weeks ago. Case A). --- In Kingston, we stopped in a local outfitters store advertising a big sale. We received the usual annoying treatment of every employee asking if they can help us with anything, but it went a step further when they downright followed us around as if we were criminals (watching our every move)... It actually went far enough that a store manager instructed another employee to "follow them" (us) up to the 2nd level of the store... After we insisted we wanted to look up there in the first place (he said actually said "you wouldn't find anything that fits you up there, you shouldn't go up"... Hey, guess what buddy... I was LOOKING... not trying on everything to see if it fits. So in the end, there was no way they were getting our business! Case B). --- after being chased out of the last store, we decided to grab some lunch at a local "seat yourself" veggie-friendly restaurant. We sat in a booth, a good 10ft away from the front counter, and waited a steady 10 minutes before getting up and decided we must have to place our orders at the counter, before choosing a seat??? So we arrived at the counter, placed our orders (to a rather spaced-out waiter/cashier... Who seemed as entertained by the menu as we were)..... He follows up the order with a curious question of "OK, so do you know where you want to sit then?" .......... umm........ yeah buddy! Remember standing here and watching us sit 10 feet away at that booth? for 10 minutes? without menus or any idea on how to get food at this place? Try delivering it there!!!!! Case C.) --- We openly discussed the possibility of there "being something in the water" that was maybe causing our strange encounters (that, and how the frogs and garter snakes on Amherst have a surprising amount of Orange on them,, water?).... as we strolled out onto the KFN property. We notice we are about to be overtaken by another birder with a scope... We slow down a bit (figure we could arrive at the same time, since one usually flushes up a few bitterns etc (see above).... Yet to our total dismay, in what was possibly his best attempt at barking/being condescending - he yaps "ARE you a member of the KFN??" --- (and that may not do it justice... Picture this grumpy old man saying it while deciding there should no longer be rainbows in the world) --- to which I replied "uhh yep"... before (without a reply/smile/glance/hello/how are you) he put his head down and continued to march past us.... We actually stayed fairly close to the grump for the next 30mins as we birded along... And he really didn't acknowledge out existence again. Thankfully he had a birding companion 100ft behind on the trail, who eventually caught up, and couldn't have been nicer. Not that we talked much, but provided the typical birder smile and wave at the very least. I always wonder why birders end up fighting among each other, when there are so many people out there who don't give a darn about birds. Heck, I can't even understand why birders don't team up with hunters more often (considering we'd be a much larger group in conservation of land etc)...... But for cryin out loud, you can be grumpy all you want, but please, please don't try and spread it.. Keep it to yourself! And that ladies and gentlemen, is hopefully one of the very few rants you'll ever see on this blog. --- Northern Gannet/Great Black-backed Gulls off Alaska. All exciting stuff, but it really was just the beginning of some hopes and wishes. Thinking about finding a Tufted Puffin in Ontario seemed really insane, but it really could be possible if the melting ice allowed them to move. It was enough to get me up to James Bay last November and look for myself. And what happened? The theories were good enough to slap this thing down as a Sooty/Short-tailed Shearwater after a lot of considerations. In some ways, it's crazy to think a Short-tailed Shearwater could have been ~3000km's away from it's normal range... But not really as crazy as I first thought. Yes, you've read that right, a Gray Whale swam through the Northwest passage and ended up in the atlantic (actually, all the way to Israel).. Now I'd like to pull away from Israel for a moment, and focus on the route. Yes, a Gray Whale made it through. So if a Gray Whale can do it, how about birds? You know, the ones with wings? Now I'm all excited again! The snow/ice map from the same year, but on Nov 1st. Note how all that water north of Nunavut has frozen up! Any Tufted Puffin/Short-tailed Shearwater/Short-tailed Albatross that's stuck in a dead-end inlet is faced with a dramatic choice: Fly or die... And considering the N or NW winds that typically occur post-cold front, it seems likely that Hudson Bay is the first place they would head when faced with the daunting task of an over-land flight. Once on Hudson Bay, these mega-vagrants would hopefully continue to wander south in search of better climates, and the best place to look could very well be Netitishi Point - the prime sea-watching location in the whole area. Mega Rare pacific seabirds @ Netitishi: possibly the best place south of the arctic circle to find them! It's so deliciously exciting, I may just have to get back there and do some more looking. A better candidate for the last previous opening was the period 6,000 - 8,500 years ago, when the Earth's orbital variations brought more sunlight to the Arctic in summer than at present. Funder and Kjaer (2007) found extensive systems of wave generated beach ridges along the North Greenland coast that suggested the Arctic Ocean was ice-free in the summer for over 1,000 years during that period. Adult Little Gull on the beach at Port Burwell PP. These adults (with a handful of adult Bonaparte's) are on their way south already... Not too different from the many early migrant shorebirds. Click on the link a few times to view it on youtube proper (where you can make it full screen). Some more video fun from Hillman Marsh CA.. This adult Black-crowned Night-Heron would take a ridiculously long time to finally go for the catch, but often turned up empty handed. I spent the better part of 2 days birding along the Lake Erie shoreline, and for purposes of stream-lining with Ontbirds, I'll jump to the highlight! Yes that delicious pink and white blob is an adult Cattle Egret that Ken Burrell and I found very early this morning (Jul 22) at Holiday Beach CA... A new addition to my already good "self-found" year! The bird was viewed from the hawk tower, preening on the snag shown in the above photo for the duration of our observation... Fairly distant (as you can tell from the photo) but nice views in the scope (and morning light). Little Gull - 2 migrant adults, 1 summering 1st alt. Lesser Scaup (pair) - ??? The biggest highlight for me at Tilbury was a juvenile Lesser Yellowlegs! The plan was simple - zodiac - and zodiac some more. Well we have the zodiac primed for the 2011 pelagic season, but yesterdays weather forecast (calm) was wrong (20+kmh NE winds)... So my Dad and I decided to hit the dusty trail around my parents new home (RBG/Valley Inn/Woodland Cemetery). I have more field work "on the go" for the next few days, so I'll hopefully be stopping in at some sewage lagoons etc. and have some real birding reports. Orange bill points to some pretty heavy leucisim? Or is it partial albinisim? actually I'm not that worried about it. Savannah Sparrow on Amherst Island... The bird wasn't exactly close, so it would be fun to get some "better" birds like this! Another trial. Turn up the speakers to hear a Gray Catbird singing in the bushes in the distance. Pretty good sound quality for a distant bird. If it was a Kirtland's Warbler singing in the shrubbery, I'd have it pretty well! One of my earliest videos, listen to me explaining to Alan Wormington that I'm "documenting rare birds" and him proclaiming I should "do a blog posting on it".. Take that, Alan. Can I get a seal of approval on these things or what? All of those photos are posted here in order, as I took them. Note how the fur dries out and changes colour! I should also note, that the next several seals (until I say otherwise) were all taken on the same day! The day these photos were taken was VERY Nice for november. Warm, and virtually no wind. We saw LOTS of seals this day, whereas we only saw 1 or 2 a day on every other day of our visit, and not often up on rocks. One of the larger, (or largest) seals I got photos of this day. The larger animals seemed to drop into the water earlier, when it was still too deep for me to get closer for photos. So there you have it.. I'll figure out some sort of way of updating if anything new happens. I'm going to try and get the photos to the people who commented on the limited first set! I'll update new info here, if anything happens! Shorebirdz + a Black Scoter in July?